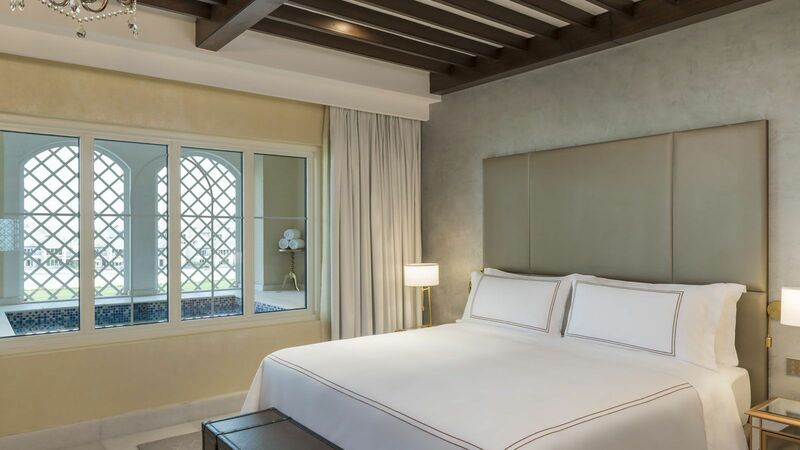 The Royal Suite (The Royal Polo Suite) comprises with stunning views of manicured Polo lawns from your private jacuzzi equipped balcony a contemporary living space await you. With two double bedrooms, large living space and luxurious bathrooms these penthouse suites offer the ultimate escape. The elegantly appointed 249sqm Royal suite is ideal for discerning travellers desiring an opulent space while feeling truly at home. Complimentary high speed Internet is available in all rooms and throughout the hotel. © 2019 Al Habtoor Polo Resort, LLC. All rights reserved.